After discovering their lifestyle shoes in Austin, the folks at OOFOS sent me a pair of the OOMGs to test out. They now sit next to my back door and I walk out with them on pretty much every day–to the store, on a walk or when I’m headed to the gym for a swim. By the way, when I do where them to the gym, I’m also packing my sandals to wear them in the pool area, in the sauna and in the shower. Yeah, like my friend in Portland, I’m pretty much addicted. Not only are they comfortable because of the soft foot bed, but I love the fact that they are slip on. That’s why they’ve become an everyday shoe for me–they’re just such an easy option. But, of course, these aren’t just ideal for home. They are great for travel as well because of how lightweight they are and how well they pack down. The OOMGs come in a variety of colors including: Black & Black, White & Black, Black & Gray, White & Blue (pictured), White & Gray, White & Orange and White & Pink. There’s also a Black & Gray fiber version as well as a higher cut version. Note that sizes in the OOMGs tend to run a tad small. I’m normally an 8.5 but needed a 9 in these. The sandals are more true to size. It’s easy to enter and you have multiple chances to win! 1) First, tell me your favorite way to pack your shoes for travel. Do you only wear one pair during a trip? Do you use a shoe packing cube? Do you stuff them with delicate items? Lemme hear about it. Use this contact form to let me know. I’ll gather up all the answers and create a post featuring the answers! 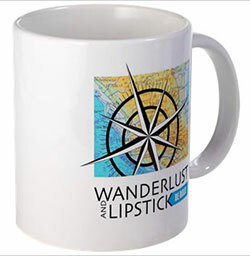 2) For extra entries, make sure you’re subscribed to both the Wanderlust and Lipstick and the WanderTours newsletters. If you’re not already subscribed, simply click on the link above and enter your email address. Be sure to check both boxes. You’ll get one extra entry for each newsletter you’re subscribed to. 3) NEW! Also subscribe to the She’s Bold Podcast newsletter (sent with each new episode of the She’s Bold Podcast). * Note that I send each newsletter just once a month, I do not share your info with anyone and you can unsubscribe at any time! * Approximate value for the OOFOS OOMG shoes is $120! * This contest closes at 11:59 pm PST on February 28, 2019 and the lucky winner will be chosen on March 1, 2019. 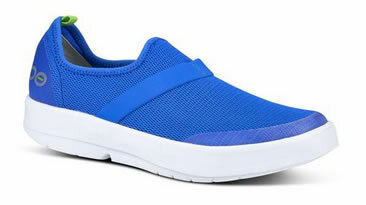 * OOFOS is happy to ship to a winner with an address in the U.S. Winner will have three days to reply once being notified. If no response, a new winner will be chosen. Good luck. I can’t wait for you, too, to feel the OOOOOOOO! I try to only pack one pair of shoes and I just throw them in the suitcase – nothing fancy! Go in my suitcase. I love my oofos recovery Sandals. at the bottom of the suitcase. I put extra shoes into a big ziplock bag. When I switch shoes I’ll put the other pair in the bag. That way I can find them and they don’t get anything else dirty. scuba gear and my underwater camera. I often put bottles or sovenirs in my packed shoes to prevent breakage. I have always 1 Pair of shoes and Flip Flops in my suitcase ….and with one very cosy pair of shoes on my feet iam travelling ??? Is love to try a pair. I have broken both ankles and my left foot and haven’t been able to walk with out pain since 2011 .